Watari wears a soft yet very durable dark purple, linen neck-shirt with white stripes. The material is very soft and tailored but very strong. On top of that, he wears a strong, black body vest. This vest is similiar to those worn by ANBU and is designed to withstand powerful impacts and bullet-like projectiles. With this equipped, Watari can withstand most bodily harm. The vest is extremely durable and strong but it does not restrict Watari's movements. He wields black gloves, which is mostly fingerless, with small steel rings, probably so Watari can inflict more forceful blows. These black gloves have a mechnism and pockets that allows Watari to store small or flexible material. His wires/strings are usually stored within here and can easily have them come out for combat. Watari wields pure silver wristbands. He wears light, black, leggings with pockets. He has a black, concealed belt that blends in with Watari's leggings and so are hard to see, even if your eyes are an inch away from it. The belt is able to hold many things, such as ninja pouches or small equipment. Attached to the belt is what seems to be brown belt straps, probably to strangle his enemies and silver necklaces. He wears either black, pocket boots or black sandals. On top of that, Watari commonly wears the Kazekage cloak and hat to cover it up unless he engages in battle. In certain operations, he might wear a black "agent-style" suit fitted for an ANBU depending on his mood and current interest and he might, though uncommon, wear a formal Sunagakure Jounin vest or ANBU uniform at certain times depending on his mood. Watari is a patient, calm, and collective individual. He is somewhat loyal to his village and comrades, but he places his own goals before himself. A man of true ambition, Watari always pours his all into whatever he wants to accomplish, working dilligently and hard to get what he wants and meet his goals. He is willing to betray, trick, and manipulate his friends, allies, and village in order to get what he wants, pursuring his dreams to the end, which supports Watari's undeniable determination and will. He is an extremely smart intellectual but he is rather secretive about it and pretends to be a bothersome, senile elderly-like man sometimes. When his village calls for his help, he is an understanding person and places his opinions and methods to ensure a good result. He is not an open person and is a bit mysterious, always aware and on his guard and never letting anyone know more about his past or thoughts other than those he has or can say. Watari uses tactical thinking and strategy planning to accurately think ahead and quickly use tactics during the middle of a battle. He is a very calm and neutral man, rarely panicking and maintaining his composture even when the opponent's violent attack is right in front of his face. This might be due to his intelligence, which keeps him to always hold a strategy in hand. Watari is the kind of person who looks down on people, especially on those who are stronger or more gifted than him. He has internal feelings as an inferior and whenever he ascends higher, he refuses to allow people to remind themselves as the person he once was. Watari is a fearless and a rather strong-willed man, plus he is able to obediently follow instructions from the one he recognizes as his commander. He places his trust on those close to him or those who know him well and can fight for him and be useful. But he really only places his upmost faith and reliability on himself only. Watari is so involved and drowned by the chaos and luxury of battle that he is nearly sadistic when it comes to almost killing the opponent, specifically one who rivals him in combat. He loves battle no matter how strong his opponent is. Even so, he does realize his weaknesses and knows when to give up. Against cowards and more boring opponents, he has a merciless and cold opposition to them, attempting to kill them without any sign of remorse and is able to kill in cold blood without the slightest hesitation as he is known for keeping only ties with allies. He is able to cut ties anytime he wishes in order to further his own goals. Upon becoming Kazekage, his arrogant trait has diminished and has a strict relationship with his village, self-motivated in being the most greatest and strongest Kazekage ever. He is willingly to take drastic actions and make movements of his own accord to benefit Sunagakure or his own power. He has even thought about running away or betraying them to become a spy, but has yet to do so because even though he is a calculating warrior, he believes in the innocence and right to live for the fair civilians and puts them out of harm's way unless it cannot be done. Watari hates aging as he fears that for his body to age, he will become useless, weak, and unable to defend himself or fully live up to his nickname as Sunagakure's "God of Death." Therefore, he searches for the opportunity of immortality or agelessness but would study it first before rushing the trait into him. His ferocity in battle is ferociously massive and he battles on and on. He also smokes on certain occasions. Serene, observant, collective, and a hatred for aging are all traits that describe Watari Dorunezu. History: Watari Dorunezu was born within Sunagakure. He entered the Ninja Academy at the age of 6. There, he excelled at ninja tools and the use of weaponry. He quickly learned how to manipulate his chakra and also excelled at Ninjutsu. Because of his clan's intellectual mind and instincts, he was able to graduate top of his class with outstanding marks at the age of 9. He soon became a Genin at the same age of nine and was placed into a Genin cell with a Jounin leader. Watari's Jounin sensei was a master at the wire weaponry battle arts. It is basically a skill that utilizes specially-modified, strong wires for combat. Watari grew extremely interested in this art and asked his sensei to teach him the skill, though he had to complete a series of difficult tasks to be able to do so. Watari got a hold of a combat-specialized roll of thin, translucent wires as strong and tough as steel. With this, he was taught the unique battle arts. Watari was stuck at the basics as his skill with the wire was just too amateur, as although it's powerful, he simply can only use it for a short period of time. But one day, Watari's sensei taught him how to utilize his chakra and stream it to the wires, allowing them to perform much more efficiently. By the age of 12, Watari was highly skilled and dangerous in his wire weaponry. Also, at the age of ten, Watari discovered his first element: The Wind element. He learned Fuuton ninjutsu and also endured rough Taijutsu training; just simple yet rigorous physical excercises that allowed him to quickly and significantly train and boost his speed and agility. He entered the Chunin Exams and was promoted to Chunin at the age of 12. By the age of 14, Watari's wire weaponry skills rivaled that of his master who taught him the skill. He thought of this an excellent accomplishment as he discovered a few creative methods of his own to improve and use his wires. By by this time, the Sixth Shinobi World War broke out, and all the villages were at the battlefield. He spent most of his time in the battlefield, yelling out sadistically and enjoying the pleasurable rush of battle. He finally experienced war and found it as both a hell and a heaven. Watari's combat-loving personality was developed during this time. In battle, his combat prowess and his wire weaponry battle proficiency improved tremendously. He made such huge increases through great leaps and bounds that he earned the fearsome nickname as the Sunagakure's "Shinigami". He was truly feared during wartime, which is evident to his abilities. At age 15, Watari found his wires being a little "outdated". He is equivalent to his former Jounin teacher in the particular skill but he lacked style. He needed something bigger. It did not matter if it was older or newer than the wires that he had. He went on a journey, something that can be classified as a mission at the S-rank level, to the Cave of the Forbidden Corpses within the Land of Wind and arrived at the abandoned place where so many have been slain and fallen. An old woman came up to him and adviced him to stop and turn back, but Watari just sliced her in half and killed her. He found a little girl, around five years old, peeking out from a rock and witnessed the woman being killed. Watari reasoned it was her granddaughter but he didn't care either way. As he traveled in the cave, he realized that the journey was extremely dangerous. He had to ward off ghouls and spirits in the dark, destroyed reanimated, stone soldiers, fought monsters of the deep, and had to go through several treacherous obstacles in order to find the prized jewel. There, sitting on a throne-like chair with a skull on top and a scythe under it, was a glove contained within a glass box. Watari touched the box and the words "To those who shall lift this unholy object from this container..... be it they shall suffer eternal corruptness as they slain and be slain, with this Hand of Shinigami" inscribed upon it. Watari could already feel the evil, powerful aura emanating from it. It almost seemed as if it was alive, and it seemed as if it were cursed. But this was no doubt a supernatural item, and this glove was power. he lifted the box open and picked up the glove. They were labeled the "Hands of the Death God." Watari smiled as he put them on. They were light and he could already feel the power in them surging through him. He lifted his finger and a string of wire quickly shot out and whipped the air, slicing a solid piece of rock in the process with no resistance. The Dorunezu smiled evily as he realized the power he has within his hands. The God of Death has just found the weapon fit only for him. Watari mastered the Hand of Shinigami fairly quickly and effectively. By the age of 17, he fully mastered its use and abilities and had a wide range of versality for combat in his hands. At the age of 16, he was promoted to Jounin. During the war, he easily and quickly killed his enemies, the body count stacking up rapidly. He was known worldwide as the "Shinigami" and was very feared for it. The world war ended when Watari reached age 17, and he had killed a grand total of 453 shinobi. He was worried it would end so soon that he would still have fun, but lately, the war was slowly becoming boring little by little. He resigned himself from war and a more mature, merciless, and calmer personality reached into Watari. He discovered his second element: the Raiton element. His speed, agility, and reflexes increased immensely during the war as he could quickly outrun and dodge fast-moving projectiles even at close-range. WAtari was very skilled and masterful in several of the ninja arts. Being a Jounin, Watari quickly surpassed his master in wire weaponry and was the most greatest and top wire weaponry battle arts user. His mastery over it as well as the Hand of Shinigami enabled him to hold a great advantage on the battlefield and it earned him a few more nicknames. At age 18, Watari was enlisted to be a member of Sunagakure's special operation forces, namely the village "ANBU." Being in SUnagakure's ANBU, he excelled at tactics and assassination, being frequently assigned on risky missions to take care of missing-nin and extremely potent threats. As such, he engaged in a couple of artifical physical enhancements in which his senses were increased to great levels and he obtained immense endurance and a hard durable body. In doing so, he became a true assassin and a hunter. Being entrusted with top-secret documents, information, and the like, Watari frequently hired himself out as a mercenary for other nations. He was known as the "Weaponsmaster". He faced many famous shinobi and one particular legendary ninja that earned him the title as "Angel of Death" and "Reaper of the Sand." At age 20, Watari was promoted to ANBU Captain and led an elite team of ANBU Black Ops for his great progression and unnatural talent. However, Watari also had to face a couple of shinobi from his own village at certain occasions as a professional soldier for hire and he had no choice but to kill them. Knowing that if he kept this up he would most likely be tried and executed, he left ANBU at age 21. Watari continued his ninja life as one of the top class shinobi and trained in Fuuinjutsu, Taijutsu, and more of Ninjutsu, especially elemental Ninjutsu. He finally obtained the perfect, athletic body for him and studied some forms of chemistry and bionanology. Watari also learned some Kinjutsu and was educated in his village's history, as well as some of Suna's darkest secrets. Watari learned some Puppetry skill but incorporates it into his wires through chakra as he does not use actual puppets. 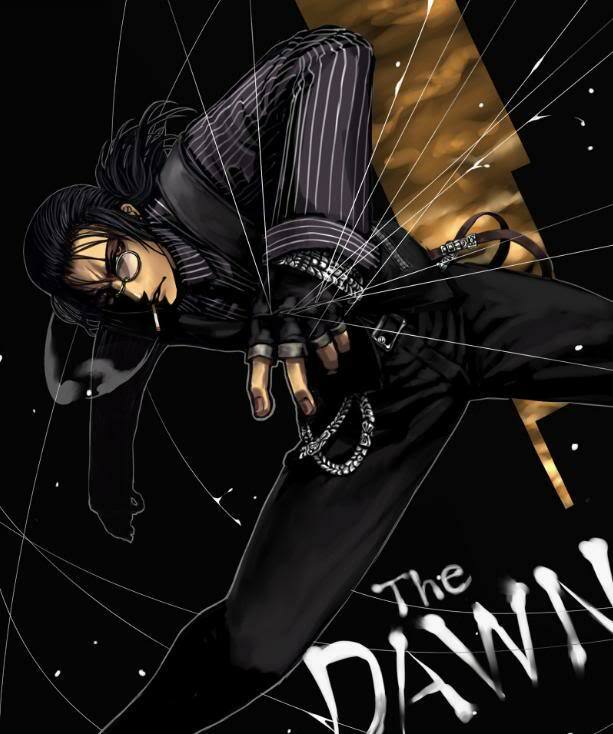 With his excellent tactical mind and his Dorunezu reactions, he was able to push the Hand of Shinigami's capabilities and his profiency with it to greater levels and expanded the usage of the wire weaponry arts. Watari led journeys in which he was to find legendary, rare, or long-lost weapons of high value. As he collected such weapons, the Kazekage of the village had died of diesease. Afraid that it was a murder, the village panicked. Watari knew he had to return to Suna as his presence is needed. A Kage election was held and the chosen canditate was Watari himself. He was approved by the village elders, the village council, the Wind Daimyo and his royal table, as well as the majority of the Jounin. As such, at the age of 23, Watari became the Kazekage. His personality and appearance matured into that of an adult and he was ready to lead Sunagakure to prosperity and glory. Currently, he has spent more than 4 years as Kazekage and is avoiding war and keeping peace with the other villages, while sharpening his skills day by day and training to surpass Sandaime Kazekage and his Iron Sand, who was said to be the most powerful shinobi and Kazekage in Suna's history along with the most feared weapon in Suna, and replace him as the most strongest Kazekage with the greatest weapon: The Hand of Shinigami. Shikyo Makojin looked around "Melody's Garden" as if he was scanning it. There wasn't much. Which is just the way he wanted. Any obstacles will interfere with the progress of the duel. Shikyo had stumbled upon this place just recently. He had gotten lost during a surveillance mission on Otogakure and miracously entered the unattended garden. It seemed to be able to live without a water source, or at least live without anyone seeing the water source it has been using. It didn't matter to Shikyo, for he kept a geographical memory of this location. Just a week ago, he had entered the Tortoise Village and attacked a village diplomat. After that, he threatened the elders and stated that he will launch an assasult on the village unelss there was somesome strong enough to challenge him in a private match. Three days later, Shikyo recieved a letter while in Kirigakure. Apparently, the Kage of the Toirtoise Village will be the one fighting him in protection of the village. Shikyo did his research and found out what little information he could. Lyn Katsuki, an experienced kunoichi who excelled at Fuuton and Genjutsu. So the first conclusion Shikyo had came to was that his opponent is either a quick one or someone with the ability to multi-task while manipulating or controlling her chakra. But if this be a battle of speed and jutsu, then Shikyo had this handled. He did not come here to play at such a ridiculous level. 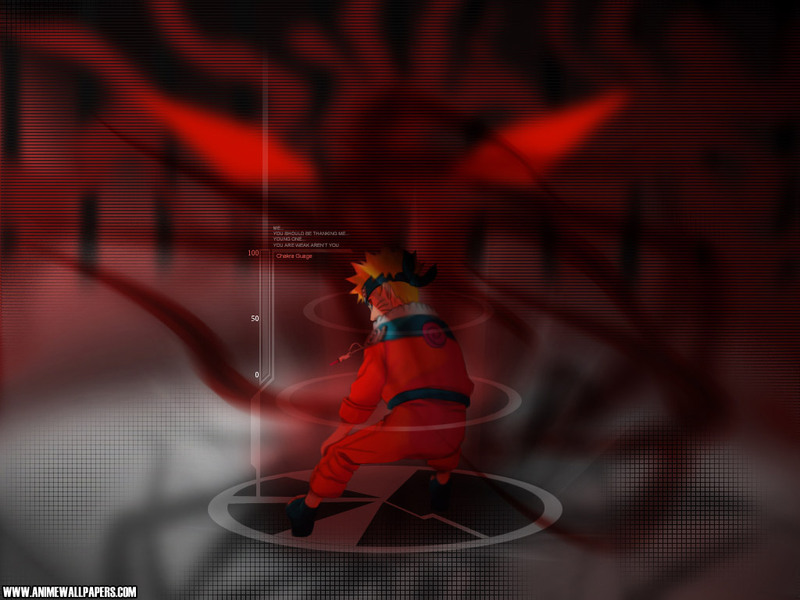 Fighting a Kage means that things are going to get serious, and lowering one's guard was not an option. Which is why Shikyo has gotten all his things and made the appropriate preparations. He will not ever lower his guard and awareness down at any point of their fight, and he will be cautious and on the lookout for any traps or movement. He planned to take things easy one at a time but if that was not possible, then he will have to stop playing around and use full power early from the beginning. But what could he possibly have to worry? After all, his journey as a shinobi has met many accomplishments individually. He is one of the strongest of the Jounin in Kirigakure, and a hero of the Makojin clan.